Adweek’s Fall TV Preview: Which New Broadcast Shows Deserve Your Time and Ad Budget? The 2016-17 season is almost upon us. Over the next month and a half, the five broadcast networks will premiere 20 new series, with most of those debuts coming in the next two weeks. 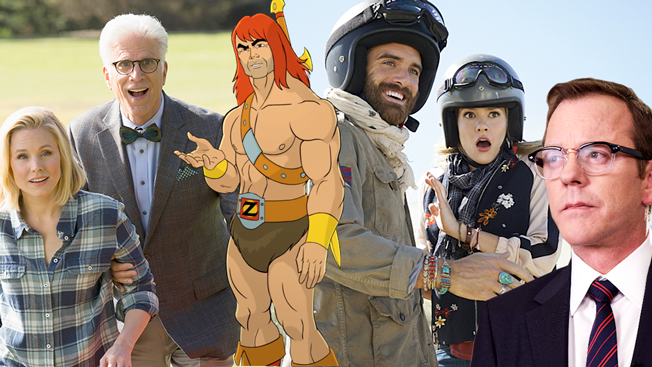 They began Sunday, when Fox previewed Son of Zorn, and continue until CBS closes the fall out on Thursday, Oct. 27 with the comedy The Great Indoors and the medical drama Pure Genius. It will be harder than ever for those new shows to connect with audiences, given that as many as 450 scripted series will air this year on broadcast, cable and streaming services (up from 419 in 2015 and more than double the 216 scripted series that aired just five years ago), according to FX's research team. Meanwhile, linear viewership continues to erode, with no broadcaster adding viewers last season in the 18-49 demo most coveted by advertisers—NBC, ABC, and Fox all were down in the demo, while The CW and CBS remained flat. According to Nielsen, The CW is the only broadcast network with a prime-time median age, 45, that falls within that demo. The others all have median ages between 50 and 59. Before the new shows begin their uphill battles, Adweek will look at the strength of each network's new offerings this week. We'll feature one network per day, starting on Monday with Fox's lineup, which made the biggest impression on buyers during upfront presentations in May. NBC will follow on Tuesday, with ABC on Wednesday, CBS on Thursday and The CW on Friday.